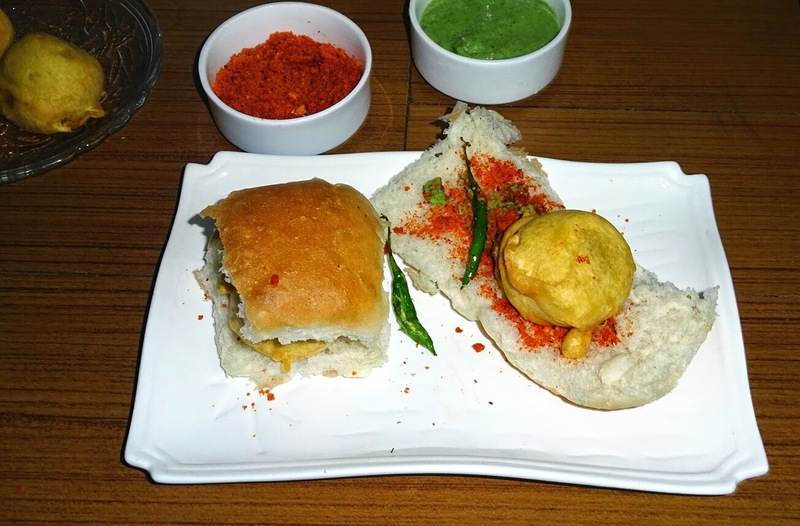 Vada Pav - Indian version of burger is very popular, spicy staple street food, native to the Mumbai (Maharashtra), but also very popular in all parts of India. 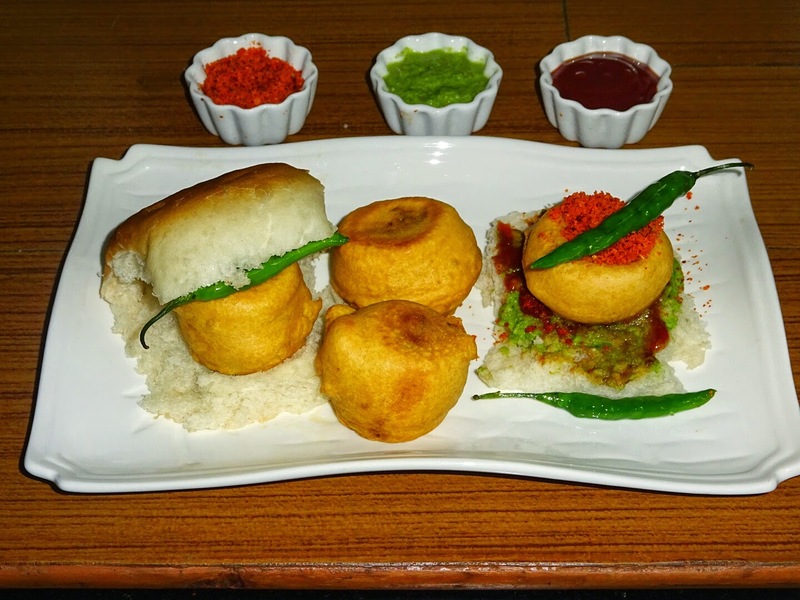 Vada Pav is also known as Aloo Bonda in southern parts of India and Batata Vada in Maharashtra (West part of India) and spelled as Wada Pav or vada paav. 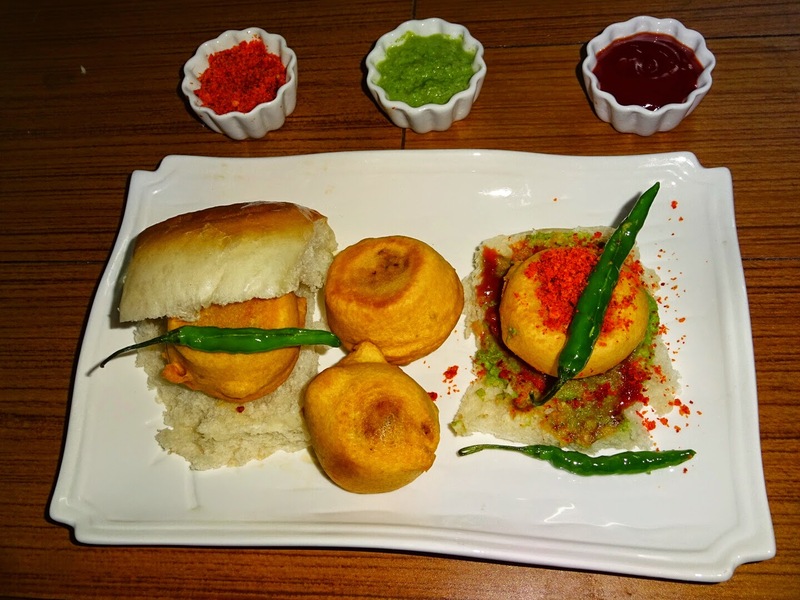 It consists of a batata vada sandwiched between two pieces of a Pav and served with dry garlic chutney, fried green chilies, green chutney and tamarind chutney. Batata Vada means spicy potato dumpling coated with gram flour and deep fried. Batata is a Marathi word which means potatoes. Vada means savory fritter type snack or deep fried dumplings. 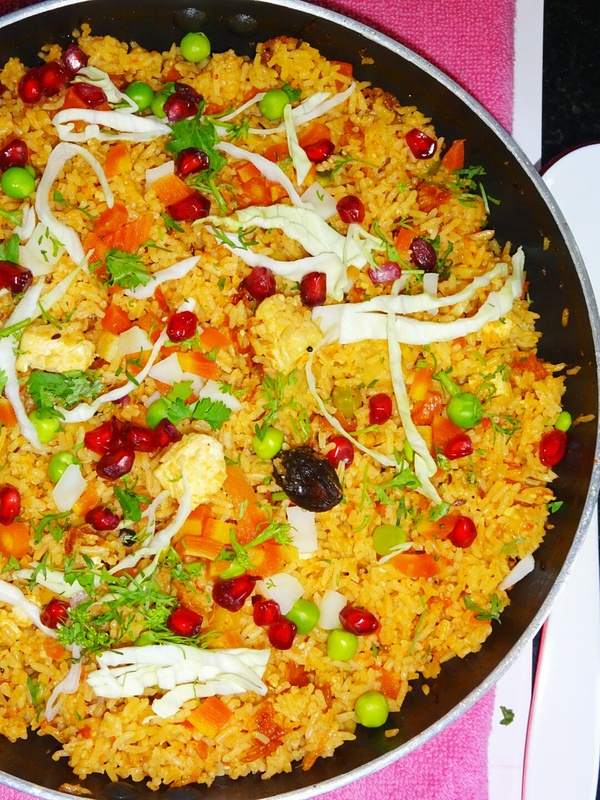 I am putting up recipes in four blogs posting for better understanding. Chutney served with Batata Wada will be posted individually. 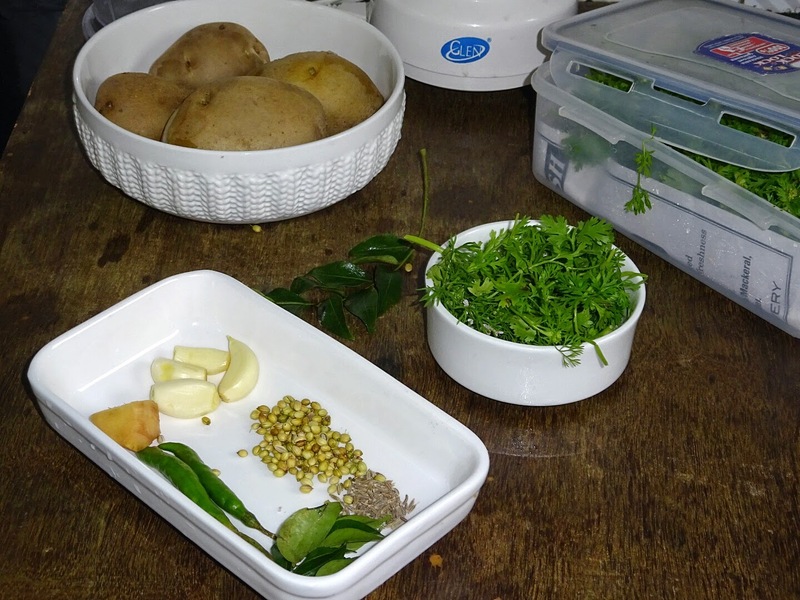 We have to prepare garlic dry chutney, coriander chutney and tamarind chutney. 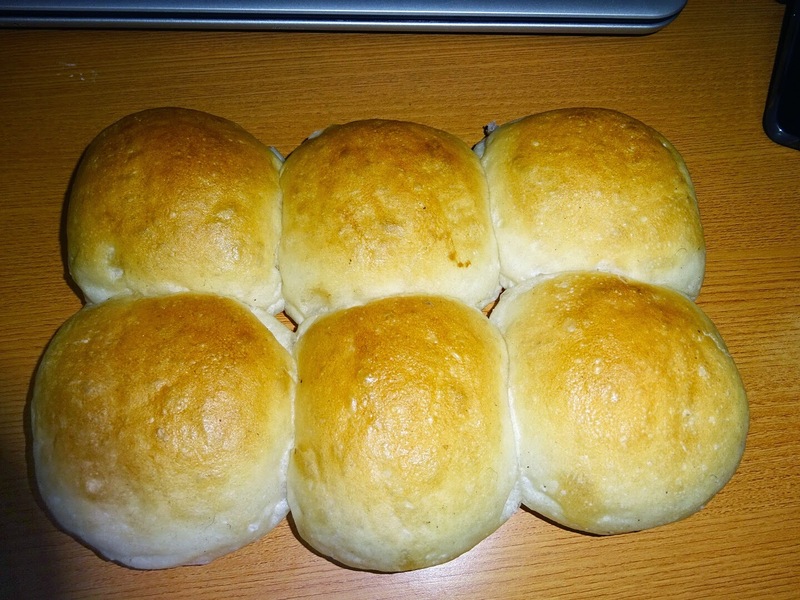 Ladi pav means small loaf of bread. I am using ready-made Ladi Pav..
◾Boil the potatoes, peel and mash. Potatoes should not be very soft or mushy as that result in very soggy vadas and will absorb more oil. To avoid potatoes getting mushy, put your potatoes in cold water and then pressure cook or bring the water to a boil. If you put your potatoes into hot water, the external of the potatoes start cooking immediately and start getting mushy before the center has cooked, but when you use cold water potatoes gets cooked evenly. 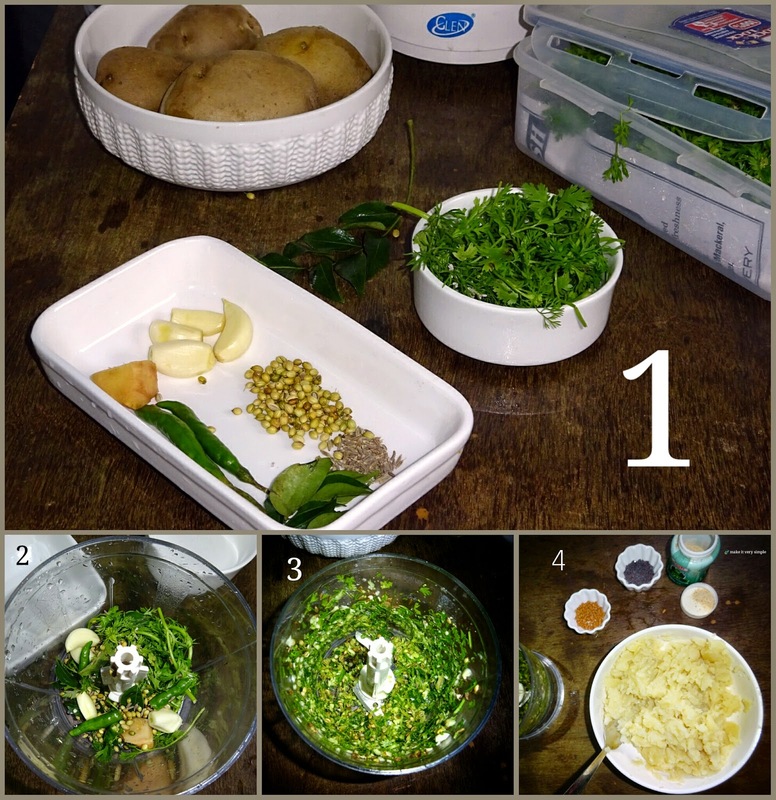 ◾Wash coriander leaves, roughly chop them. ◾Add coriander leaves, ginger, garlic, curry leaves, green chilies, cumin seeds, coriander seeds in a chopper or blender and make the coarse paste. ◾Heat oil in a pan, add mustard seeds and fenugreek seeds, when it starts crackling, add asafoetida and coarse paste prepared in step no. 2. Saute for a 20-25 seconds, then add mashed potatoes. Mix well and cook for another minute or two. ◾ Make a thick batter using besan, soda bicarbonate, water and salt to taste, make sure that the batter is lump free and is coating the potato balls properly. Batter should be thick like cake batter and should not be very running, If batter consistency is thin, then it makes the vadas to absorb more oil and make it very soggy. ◾Heat oil in a deep frying pan, the oil should be medium hot, before adding vada, check the heat by dropping a drop of batter. ◾Dip potato balls in the batter and deep fry. ◾Drain , remove the extra skin from vada, and dish out hot with red garlic chutney, green chutney, tamarind chutney and fried green chilies. ◾Frying green chilies is a very risky task, if you simply add them in hot oil it will burst, so take very good care. Never add them in hot oil without a slit. Wash and slit the green chilies. Stuff with salt or with chat masala or dry mango powder. Deep fry them for a few seconds. ◾Hold the pav in hand, slit the pav in half. Spread chutneys of your selection, place Veda in between the slices and press slightly. Vada Pav is ready to dished out.